When done correctly, stacking coupons can drive the cost of your grocery and household items down! Sometimes, you can even get items for free by stacking coupons. I’ve gotten a lot of questions lately about how exactly this all works and seen some misinformation, so I wanted to take the time to explain further. As the term suggests, “stacking coupons” means using more than one coupon towards the purchase of the same item or items. Manufacturers coupons limit you to one coupon per item purchased. Therefore, the only “stacking” you can correctly do is using a manufacturer coupon with a store coupon, and NOT another manufacturer coupon. In order to understand how to stack coupons, you will first need to know the difference between store coupons and manufacturer coupons. Are issued by the store – they are providing the discount. Often let you buy more than one item with the coupon (the coupon will state a limit). 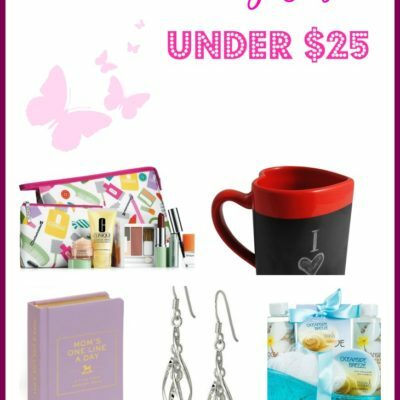 Can be found in weekly ads, mailers, in store, and occasionally, Sunday inserts or online (e.g., Target). *Unless a store in your area accepts competitor coupons. Are issued by the manufacturer and read “manufacturer” at the top. Can be used at ANY store that accepts manufacturer’s coupons. Prohibit you to ONE coupon per item purchased. Can be found in Sunday inserts, online, “blinkie” machines, tearpads, booklets, etc. For more information on understanding the difference, please see these posts on identifying store coupons and identifying manufacturer coupons. On the left you have a Walgreens coupon. This is a store coupon; Walgreens is providing this discount. It has the “W” logo on the top and reads “limit 3” on it. You could buy up to 3 bags of Ricola for $0.99. Please note this doesn’t mean you have to buy 3 to get the $0.99 price. You could buy 1 or 2, if you’d prefer. On the right you have a manufacturer’s coupon clipped from a Sunday paper insert. It clearly reads “manufacturer” up at the top and the fine print reads that Ricola USA will reimburse the retailer the face value of the coupon. The retailer in this case would be Walgreens. The coupon will specifically save you $1 when you buy 2 bags of Ricola cough drops. You must buy 2 to use this coupon. Now technically you could buy 3 bags, since the store coupon allows you to. However, remember the manufacturer coupon will only save you $1 on 2 bags. As you can see, the second example (while completely within coupon policies) is just not as good of a deal as the first example. 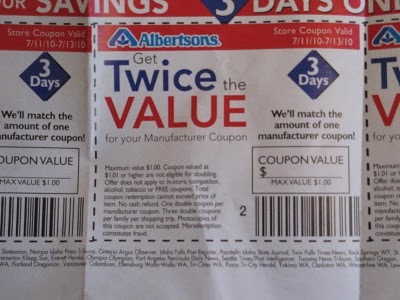 If you live in the Northwest and shop at Albertsons, you now should have an idea how Albertsons Twice the Value coupons work. It’s nothing more than stacking. You are stacking a store coupon (the Twice the Value coupon) with a manufacturer coupon of your choice. For more on this topic, please read my post how Albertsons double coupons work. Please don’t try this at home…or anywhere else! Now that you know the correct way to do this, let me give you an example of what NOT to do. You may not stack manufacturers coupons together towards the purchase of one item. It’s wrong, and please don’t try to explain to your cashier that the couponers on TV told you you could. The couponers on TV are using one manufacturer’s coupon per item (at least the ones doing it correctly). And you’ll pay: way too much for diapers! Some people think if they gather the manufacturer’s coupons from different sources that it’s OK. No it’s not. If you have two coupons that read “manufacturer” on them, you may not use them together. The only instance I can think of that might blur the lines is Rite Aid where, according to their corporate coupon policy, you are allowed to stack an in-ad “manufacturer” coupon with another manufacturer coupon. My goal is to help you save money using coupons the correct way. 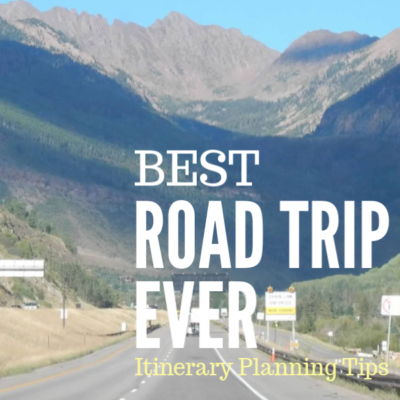 I want you feeling confident at checkout, knowing your trips have been planned according to store coupon policies and manufacturer’s intentions. If you are new to couponing, please check out my Coupons 101 and webcast pages. Do you have any questions about coupon stacking that I can clear up for you? Thank you for this 🙂 and also some stores will let you use the coupon on your card with a manufacture coupon. I’m glad you brought this up. I do consider that stacking manufacturer’s coupons, unless the e-coupon is in fact a store coupon. Fred Meyer and QFC (Kroger stores) prohibit this. Oh I love this – great info! I have a question to throw out to the readers just to see what their opinion is. We all know not to use more than 1 mfg coupon, but can you use more than 1 store coupon? This deal was at WAGS winter of 2009 and sparked lots of shoppers over it and lots of comments. Theraflu was on sale for $4.99. It was a $1 MM per box! Awesome deal! I found it interesting it reads “applicable Walgreens coupon(s)” – as in, the possibility of plural. That WOULD suggest to me the deal was legit, though it may depend on how your particular store interprets that. Why did Safeway stop allowing the use of e-coupons and mfgr coupons? Ever since then I stopped shopping there. No more cool deals. Because e-coupons, in most cases, are issued by manufacturers. In essence you are stacking manu coupons. Kroger stores have stopped allowing this practice too. I’m personally not a huge fan of Safeway and rarely post their deals here. I have found their coupon policy very confusing and ever-changing. The policy is also enforced differently at different stores, making it difficult to predict if the deal will work for most people or not. You mean we shouldn’t go into Target and purchase Charmin and Bounty and pay for it with $10 Crest White Strips coupons even though they don’t beep? 😉 Kidding! A little humor about Jail’Me’s Extreme Couponing techniques. What about OYNO Catalinas? The ones that say something like: $2 off your next order Thank You from Ziplock. Can these be stacked like store coupons or are they like RR at Walgreens? I’m curious about your opinion on BOGO coupons stacked with a manufacture’s coupon for the $X/1. The BOGO coupon would be used on the 2nd item bought, while the $X/1 coupon could be used on the 1st? But I’m not sure if that’s truly legit, even though some stores will let you do it? What about a BOGO coupon + $X/1 + a BOGO store sale? If the coupon is BOGO and the sale is BOGO you should get both free. This is where I may differ with some of the other bloggers out there, but I don’t feel OK stacking a BOGO manu with a cents-off manu. Thanks Angela! I love the way explain it and make it easy for everyone to understand. Lately I’ve been seeing new phrasing on manufacturer coupons that say basically “no other coupon may be used with this coupon”. Does that mean that they cannot be stacked? I personally have avoided stacking them because I wasn’t sure. There are many manufacturer’s coupons that clearly state “No other coupon may be used with this coupon”, however, if the Manufacturers coupons does not state this – is it then possible? Also – if you have a Save $1.00 on Three coupon – can you then use three single product coupons for each one of those three items that you purchase with the original coupon? Or can you only use store coupons for that? I believe I have seen that on several of the couponing shows…. If you have a $1 off 3, you can use only that manufacturer coupon on those items. YOu may not stack any other manufacturer’s coupon on those items. The only exception on the second scenario is if the $1/3 was a manu coupon and the $0.50 off were store coupons. I have a similar question to the one above. As an example CVS is having a deal on Chex Mix which happens to be 2/$3. I have three coupons that save $1 on 2. The coupon states “No other coupon may be used with this coupon” as well as “One coupon per purchase of specified product(s).” If I bought 6 Chex Mix, would i be able to use all three coupons? this is where i get confused. couldn’t you use (1) $1 off of three coupons and (2) $.50 off of 1 coupons? wouldn’t that be one coupon per each of the three items? WOW!!! I finally found a website where even a “man” can understand what you’re saying about stacking coupons. Thanks and look out stores….lol…. Alright, I was told and could be misinformed but am curious non the less. If you have coupons below 50 cents can you stack them. Say have a 20 cent coupon can you add a 30 cent coupon to that of same product. A friend of mine said that was possible but reading this doesn’t seem legit or was she talking about something else? Doesn’t matter the value. You cannot stack more than one manufacturer coupon. I hope this helps clarify, and glad you asked! off say Heinz ketchup for that store only,can be stacked with a regular manufacturers coupon for the ketchup at that store.Does the fact that it says it is only redeemable at that store make it a store coupon?Please help. Got a question… I just found this website and I need to know… I have actually had a few times where the cashier will use one of my coupons but not the other (using one store and one man.) Is there a specific order in which to use the coupons? ie the store coupons first and then the manufacturer coupons? Thanks for explaining stacking…I had no idea this was even a possibility! The Walgreens one on the left is clearly labeled as a coupon, so why can it be combined with the manufacturer’s one on the right, even though that would exceed the limit stated? If the Walgreens one is somehow not a coupon, doesn’t it still qualify as a promotional offer? (for that matter, wouldn’t a mere sale also qualify as promotional?) It seems that you’re saying that the manufacturer’s coupon somehow implies that it only refers to other coupons and promotional offers from the manufacturer. Is this something that Walgreens implies when interpreting the terms, or something manufacturers imply? That is, does this apply universally at any store, or only those that explicitly allow combination of store-issued and manufacturer-issues offers, even if the latter states that it may not be combined? Ok i am really confused… i understand one store coupon and one manufacturers coupon per 1 item so let’s say Target has pantene shampoo and conditioner for 5.00 a piece. can i use them since i have one manu coupon for each item and have the end result 5.00? and if i had another target one could i used it ? Hi. I just got into an argument with a cashier over accepting my coupon. It said “Redeem at Publix” but it also stated “Manufacturer’s Coupon” at top and said “Retailer: Kraft Foods will reimburse the face value of this coupon… (blah blah)” in fine print. (I was not at Publix, but a different grocery store). Finally the manager made a photocopy of it but he did accept it. I want to know for future use if I was correct to insist they accept it? I don’t want to cost the store money if I was wrong. 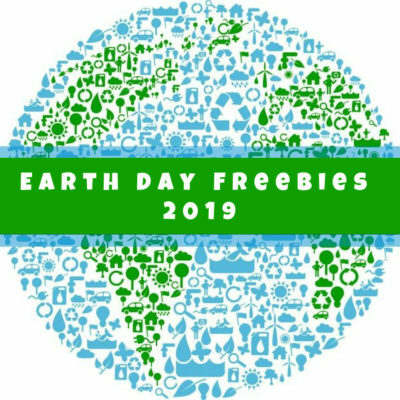 I have a VONS just for U coupon for save $1.00 for any suave body wash and one manufacture coupon save $0.75 on any one suave body wash. (cannot be redeemed with another offer) what does that mean? Does it mean I can’t use my just for U? what it this that people tell me when I have a coupon that on the bar code there is suppose to be certain numbers that allows you to use it for other products not just the one it state’s it’s for. What about store coupons that say for example: take $2.00 off Revlon lip item when you buy Revlon cosmetic item. Can you use two more manufacturer coupons, one for the lip item and another for the cosmetic item? I found a coupon for a retailer ($161 off an item) but it did not state on it that it could not be used with another coupon or in addition to other discounts. The item which is usually priced $455 is now on sale for $249, but when I called to combine the sale price and the coupon I was told that I couldn’t use both the sale price and the coupon. My question is: since they didn’t state on the coupon that it could not be combined or on the sale page if they have to honor both and give me the sale and coupon price? Thank you!!! 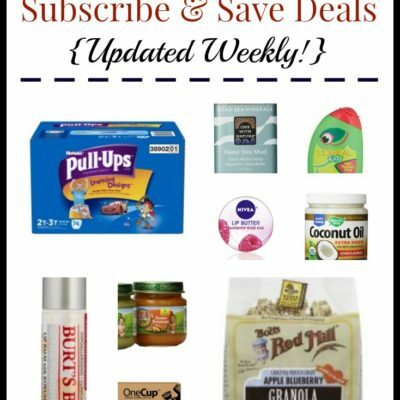 I have a question with a BOGO offer and using a manu coupons that is save $3/2. Can I use that on the BOGO offer or do I have to actually purchase 2 of the item for a total of 4? Can I stack store coupons, manafucturer coupon and catalinas from the store? Bacause the catalinas says manufacturer coupon, so is it consider a manufacturer coupon or catalinas? I’m confused? Don’t let the term “catalina” confuse you – it’s like calling a coupon a peelie coupon or an insert coupon, etc. Bottom line, it’s a manufacturer coupon and cannot be stacked. Okay!! I found a coupon in my local grocery store ad… The coupon does not say anywhere that it is a manufacture coupon. But it does say In-Ad Coupon and Redeemable At Times Market.. Is this a stores coupon?? I wanted to use my manufacture coupon on top of this because I’m assuming that it is a store coupon… Can you please assist me with this.. Yes it is a store coupon only for that store, and can be stacked with a manufacturer coupon. Ok this may be crazy but there is so many site that a Manu coupon starts with a 5 or a 9 is that correct? I have also seen Manu coupon that say manu but indeed not a manu coupon? Need some help on how to tell the difference. I don’t want to go to a store and thinking I’m stacking and indeed am not and wasted tons of coupon. How do you know if printable coupons are manufacture or something else? It should be pretty clear on the coupon. Manufacturer’s coupons clearly state “manuafacturer” on them. So what if the manufacturers coupon was a bogo coupon and you have another coupon for $2/1? Can they be stacked? Question?….so Krogers had a sale its the p&g sale buy 4 items get them 4 a cheaper price….so it was pantene buy 4…get them for $2.69…manufactured coupon for $5.00 off of 3….and 2 Manu coupon on $2.00 off on 2 items was or am I allowed to use all 3 of those coupons on the 4 bottles of pantene……I wld really appreciate I reply bck cause I am really stuck on this….thank you so much for taking your time out to help everyone out coupling is not the easy it can be very confusing…..
I’m confused as to how stacking is allowed when the coupon clearly says on it: cannot be combined with any other coupon. Then how is it allowed??? Please clear this up for me, thanks. I have two manufacturer coupons. One says buy a box of diapers and get 1 pack of free wipes. The other coupon says $1.50 off a box of Diapers. Could I stack these two coupon? I know they are manufacturer coupons but each applies to a different deal. So i understand 1 manufacturer coupon pee item in transaction. But im confused on store coupons. I can stack store coupons ?? I was wondering about using 3 manufacturer coupons, if they are different. One says “$2 off 3 general mills big g cereal” another said “$1 off two boxes of chex cereal” and the last one is “75¢ off trix cereal”. Can I use then together since they are different manufacturer coupons? Thanks! Hi there, on that note, I am curious on how the couponers on TV manage to buy. Let’s say….50 BBQ sauces in 1 trip. Every coupon I have ever seen says: limit 1 coupon per purchase and 1 coupon per customer. How do these people stock up on 900 bottles of shampoo in 1 trip? Thanks for The info. I have just started into the Coupon world and sometimes things can get confusing! Just to be clear, you can NEVER stack MFR coupons? Say I have one that is .50 off 1 item and another for .50 of 2 items. That wouldn’t be allowed because technically the two MFR coupons would be stacking on at least one of the 2 items purchased correct? Could I use two $1/2 coupon and a $1/4 coupon on the 4 products? Can I use 1 BOGO coupon with 1 coupon that gives me an amount off?